For nearly 1,000 years, the Tower of London has been one of London’s most recognizable sights. Admired, feared and photographed, it welcomes over two million visitors a year. We doubt William the Conqueror ever suspected his fortress on the Thames would be quite so popular! 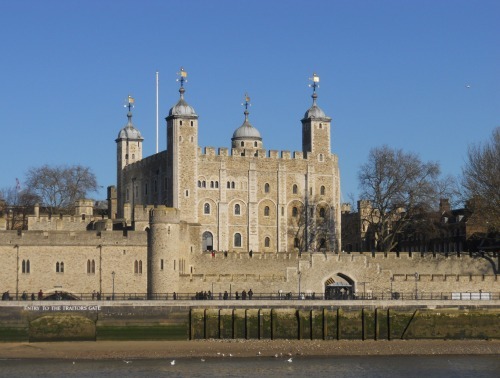 From the Medieval Palace to the Crown Jewels, there’s a lot to see at the Tower of London. 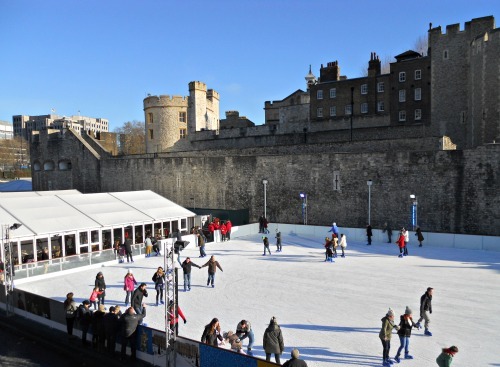 During the holiday season there’s yet another reason to visit the Tower of London … to ice skate! 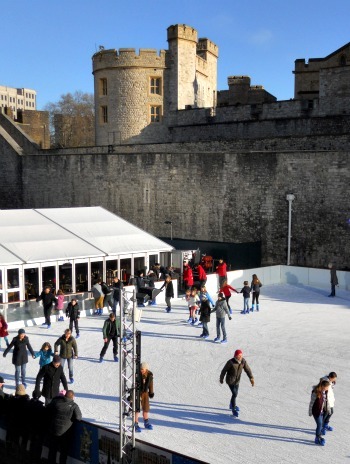 The Tower of London Ice Rink is back this year after popular demand. And we can understand why! It’s not every day that you can go ice skating in the 1,000-year old moat of the Tower of London. It is definitely one of most scenic spots to enjoy ice skating in London! The Tower of London Ice Rink will be open until January 6th, 2012. If you’re visiting on the weekends and right around the Christmas holidays, advance booking is highly recommended, especially during peak times. For more information and to book your skate time in advance, visit the Ice at the Tower website. Have fun ice skating at the Tower of London this season! The Tower of London is easily reached on the Underground via the Tower Hill station on the Circle and District lines. You can conveniently travel direct to Tower Hill from any of our London Perfect vacation rentals in the Notting Hill Gate, Kensington, South Kensington and Chelsea neighbourhoods. If you’re staying in our lovely Eden studio or Savoy vacation rental near Trafalgar Square, you can hop on the Tube at Embankment for a direct ride to Tower Hill. Or, even better, take a Circular Cruise on the Thames from Embankment Pier nearby direct to St. Katharine’s Pier near Tower Bridge and the Tower of London. Enjoy marvellous views of classic London sights along the way, including Shakespeare’s Globe Theatre, St. Paul’s Cathedral, the City of London, the soaring Shard skyscraper, the H.M.S. Belfast and so much more. London Perfect Travel Tip: If you have an Oyster card for the Tube and London buses, you can get a discounted ticket on the Circular Cruises! PREVIOUS: Charles Dickens Museum Re-opens in London! Posted on Friday, December 14th, 2012 at 11:16 am in What's On. You can follow any responses to this entry through the RSS 2.0 feed. You can leave a response, or trackback from your own site.